Order your Christmas Tree now! 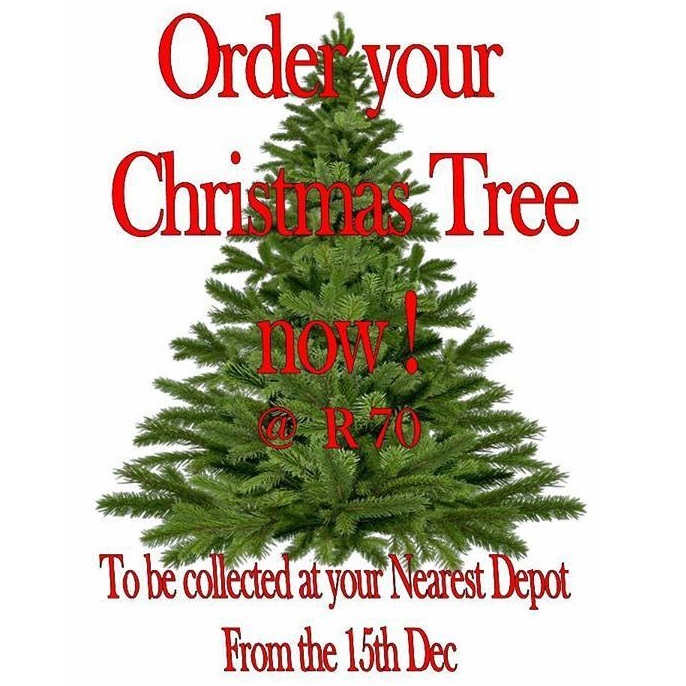 Order your real life Pine Christmas Tree @ R70. To be collected at your nearest depot from the 15th December.